Restauration of motobecane lt 125 in italy! only english thanks! all motors of LT lines are a project on french engineers that for sure spend many resources to try to product an alternative to japanese motors,and i think,with a good final result. i like very much the line of the motorbike,long but short at the same time,except for the tank,too squared for me,but i think the objective was a big capience and autonomy. 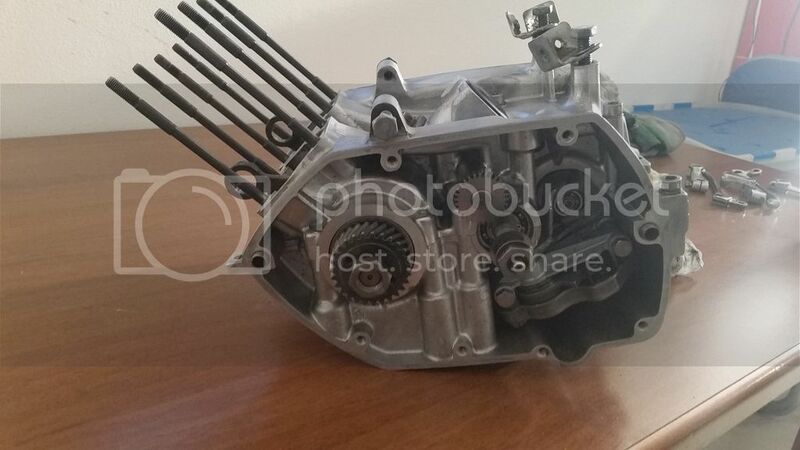 so the motorbike i have is without documents,and after the restauration i will decide if it s worth to start the process to put it on road,it will depend on the sensations of drive will transmitt me. now start with photos or youy will be bored! Re: Restauration of motobecane lt 125 in italy! only english thanks! 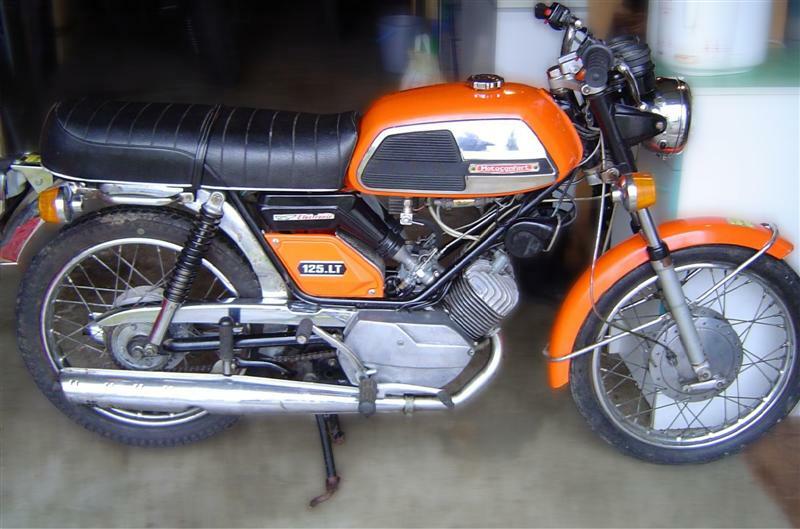 I'm not absolutely sure, but for me your bike is an "LT" built between 1972 and 1973, not an "LT1" . The first LT sold in France had the following S/N 0251 04789 in March 1972, and the first LT1 the S/N 251 10008 in May 1973. If we compare with the S/N of your one 251 09*****, I think you can think that it is of 1973. The LT has not been produced in 1974. 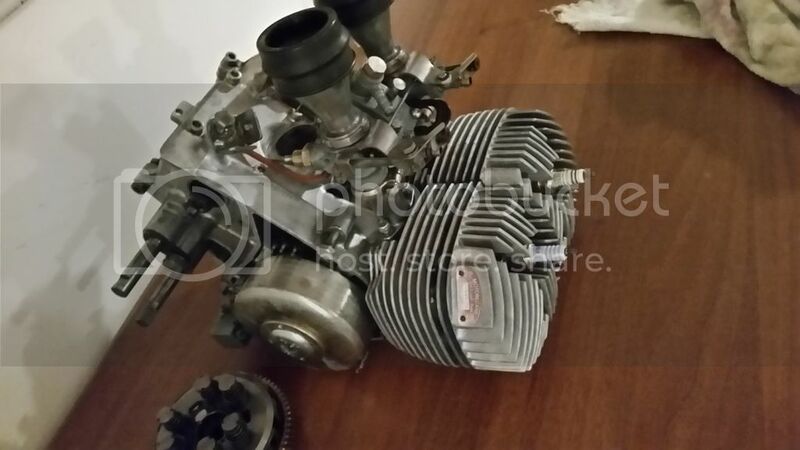 If you have a look on the body of the carburators, you can reed the date, they have been manufactured (month/year). For these colors it seems that there is no RAL references. in France Sprido makes paints for most of old Motobécane. and I will ask to the members of this forum, if they know the code of your color. Here down the photo of a complete LT, as you can see the head light and the rear lantern are not of the good model on your one. 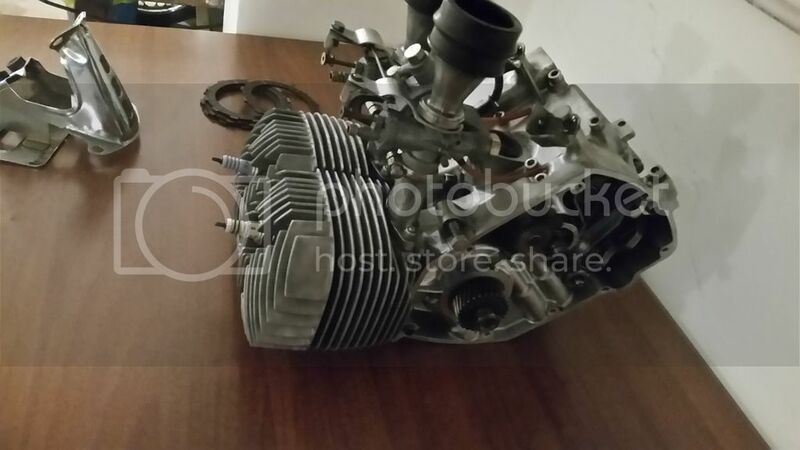 For the gaskets, I don't think that you can find a complete set, but you can find head cylinder ones on net net on french sites, those of the buttom a re in paper and mot of the time they are home made, all the spi and O ring are standards. Don't hesitate to contact Passion27 for rubber parts cause some of them have been re-manufactured. Motorsport est italien, il habite Venise, et vient d'acquérir une 125 Motobécane qu'il veut restaurer. Mais il n'a aucune documentation sur cette machine et ne connait ni le type exact, ni son année de fabrication.Il a ouvert le moteur et tout semble en bon état. La transmission secondaire est cependant HS, il manque les poignées passager, le feu arrière et le phare ne sont pas du bon modèle.... Il est à la recherche d'une pochette de joint moteur complète pour sa machine et aimerait connaitre la composition de la couleur de sa machine (vert alpage). Bien sûr je lui ai transmis les liens pour la doc. et les autres forums Tobek que je connais. Dernière chose, plus on est de fous plus on rit, alors n'hésitez pas à mettre votre grain de sel dans ce topic...je me sentirais moins seul! 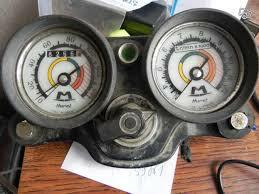 today i made photos on carburettors and in fact is marked. so now we now this is for sure a first serie of lt made in 1973,it's very strange for the lights not correct but it's like this. 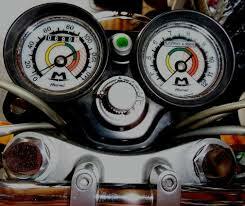 at first would like to compose a complete motorbike,than will think to find the original parts. for the gaskets i will made by myself,no problem,next week i will dismount completely the bike ,i want to start with the painting of the main frame,then will think to the rest,i think the restore will be something long,about a year...i work and have not so much time unfortunately. can you tell me the original size of the tyres?for example i have a 3.00 17 rear tyre,would like to now if its original in mm or if it was in inches. It seems that they have others parts also. Rear tyre is 3.00X17 on LT1 (16hp). i wrote a mail to the man a minute ago!hope will help me for everything. it as happened ,during restore of some old motorbikes,that several times,the productors,does not respect exactlly the same parts on same models of motorbikes when solded in other countries,for example,in old vespa,in france they made a mix of parts of different models just becouse piaggio had many stocked parts not useful,is it possible that happened to my bike? Thanks for your nice proposal, I will translate for others members. For tyres, remember that when it appears the LT is the High luxe model of the 125 Motobécane bikes, and is derived from the 125 L (luxe) and the 125 S (standard) of 1969. At this time, all bikes had thick tyres, even the 750 Four. About the mixing of parts, it's well known that on LT3 series some bikes have used parts from LT2, also french productors were used to have an higher level of finishing of their models for foreign countries. 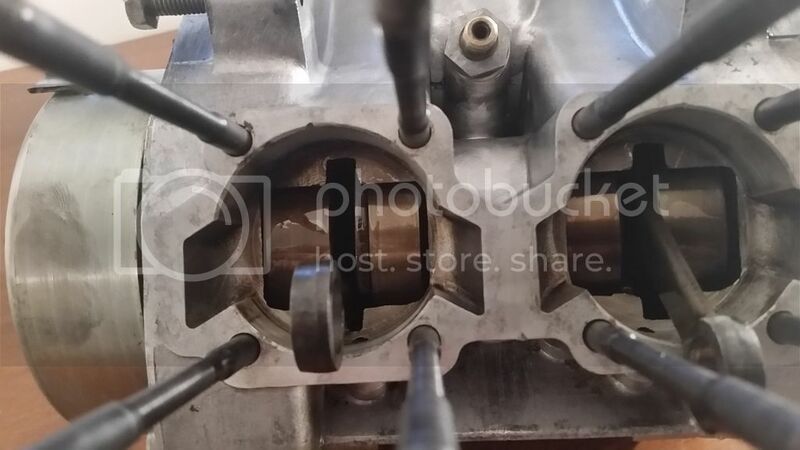 But most of the mixing of parts have been made by owners, because mounting from a model to an other one is possible for a lot of parts without any modification. "Motorsport se propose d'aider les membres du forum qui voudraient faire des recherches sur des sites italiens, en servant de traducteur. D'autre part il est étonné par la finesse des pneus, et se demande si pour l'exportation Motobécane n'aurait pas panacher la LT avec d'autres modèles. Je lui ai répondu qu'il était connu que certaines LT3 avaient reçu des pièces de LT2, et qu'en général les constructeurs français avaient pour habitude de donner un niveau de finition supérieur aux modèles d'exportation. Mais que la plus part du temps, le panachage des pièces était le fait des propriétaires eux mêmes, beaucoup de pièces pouvant passer d'un modèle à l'autre sans modification." Have a look in "Messagerie" (Mail box)!